Pregnancy brings along with it a host of emotions. This article gives an overview of the need of meditation during pregnancy. 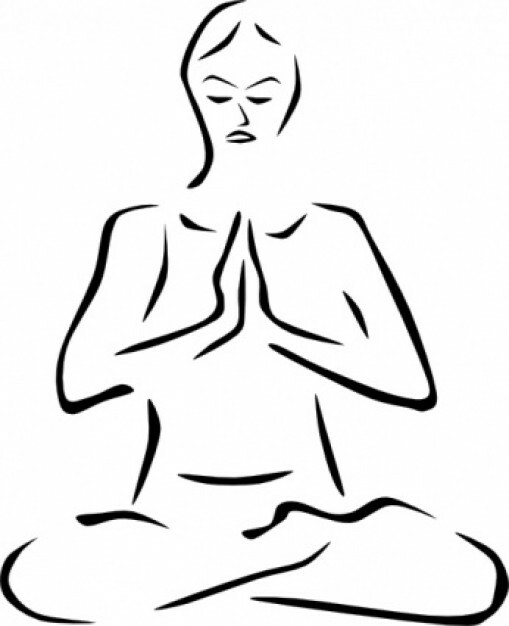 Meditation - to a layman the word meditation may sound something related to prayers and worship, which the age old sadhus used to do. But meditation is not so. Meditation is concentration. It is awareness. Whatever we do with great concentration and awareness is Meditation. As long as anything is done with full concentration and without any sort of distraction or disturbances, it is Meditation. The bonding between the mother and the child begins from the very instance the woman learns that she has conceived. Practicing of meditation during these 9 months is very important. This is the most crucial stage in every woman's life. Of course all mothers want to give birth to a healthy child. Meditation for pregnant women helps in enhancing the relationship between the mother and the child. Apart from a healthy relation, it also helps the mother-to-be to focus on the upcoming blissful moments and to pamper and nurture herself, the baby and their body throughout her pregnancy. The mom gets thrilled whenever she experiences the slow but steady growth of the new life within her womb. Gradually her body starts and all her internal functioning and the hormones go out of control. Elderly people and everybody around start imparting spontaneous advice regarding her and the baby's well being. It is during these times when the regular practice of meditation helps. Meditation for pregnant women helps them keep themselves calm, free from all sorts of unwanted fears and enables them to centre their thoughts and attention on the new life within them. In fact, meditation helps the mother to know their inner selves and concentrate on the well being of both her self and her child. Yoga exercises are the work outs that help in having a smooth pregnancy. It also enables the bloodstream of the mother to supply adequate blood and necessary nutrients to the baby. Pranayama, as we all know is the best exercise for people of all ages. This practice helps the pregnant mother stay fit and healthy during the 9 months and helps the in supply of abundant oxygen to the new life within her. Mudras affect the reproductive organs of the pregnant woman and help her to have smooth delivery. Deep relaxation of the would-be mother is healthy both for her and her child. It enables her to focus on the child birth preparation. Normal meditation relieves the pregnant woman from all her fears of child birth and connects her to the child through telepathy. It helps in having smooth pregnancy. Helps the mother to give birth to a healthy child. The mother can communicate with her child through telepathy. It increases the power of pain tolerance of the mother. Thus, from the above discussion it is very clear that meditation not only benefits the pregnant woman but it also helps her open different avenues for the well development of her child.